Game tables, a vast choice! Quality Made Affordable! 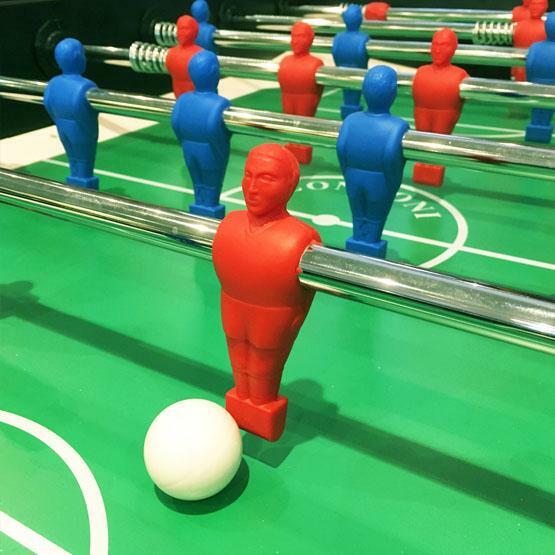 Kids, teens, adults and grand-parents can all appreciate and participate in a fun game with one of our quality foosball soccer table models. Bullz offers a vast selection of time-tested, reliable and quality-made game tables. We select brands and suppliers mostly from North America and Europe that have a good history of reliability, ease-of-access for product and parts. 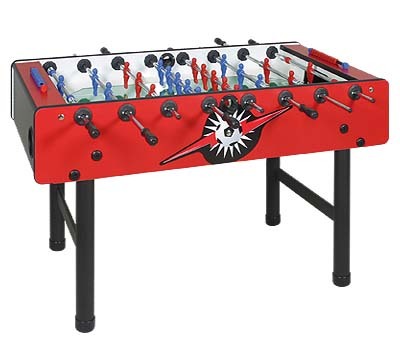 Not only are these foosball soccer tables better looking than the majority of products you'll find in box stores, but they also play better, and if for any reason you should lose or break a piece for any reason, we stand a much better chance of supplying a replacement part from our proven suppliers. 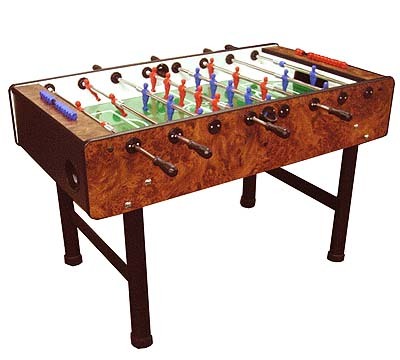 The famous Italian-made Longoni Bomber Foosball table soccer is traditional to Europe, but now a classic in North America. Beware of imitations seen at competitors. Many look like these fine tables but only a true Longoni Bomber offers extra stability of legs with multiple bolt points and leg frame screws that additionally secure the leg to the frame. Horizontal bars are welded between the metal leg structures to make this table set and solid to play on, and virtually indestructible. In addition, the playing surface is made of a tempered glass with silk-screened field graphics that won't ware-off. The rods are telescopic and are also absent of any bearings or breakable parts, making this model extremely reliable and maintenance-free. 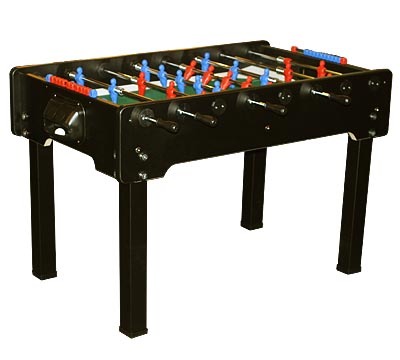 A superior and worry-free soccer table that you can enjoy for many years to come. Includes game balls and a 5 year limited warranty. Another quality favorite model, the Striker by Longoni is also made in Italy with telescopic rods, metal legs and a highly resistant silkscreened playing surface. The cabinet structure is finished with a durable Formica outer shell. Includes game balls and a 5 year limited warranty. Click here for our store location and visit today to see our growing selection of pool tables, ping pong tables, bars, foosball games and much more.